Many of us are blissfully ignorant to where our food comes from and the environmental impact of its production. We like to blindly focus on the shelf of the supermarket where we bought it, and not the many large carbon footprints which brought it there. But it is time for reality to kick in. The foods we consume are harming our planet, and ourselves. I’m not here to lash you with vegan mantras, I want to open your eyes to the fact that our food choices have an impact far beyond our health and well-being, the diet habits that engulf our daily lives in fact have drastic consequences on our world as a whole – in ways we often are utterly unaware of. The agricultural and meat producing sector has been under fire for years for its harmful effects on our environment. The list of damages cultivated by cattle-rearing is endless, with mass amounts of land around the globe being cleared to make way for beef and dairy production. The nitrates and phosphorus fed to cattle reared for dairy production cause effluent and run off materials to pollute rivers and lakes, causing unnatural eutrophication and serious endangerment to water-based species. Popular pesticides and herbicides have the same effect, meaning that effluent builds up in marine habitats, having deadly consequences for wildlife. The devastating effects of meat production and agriculture are in the Irish spotlight of late, following Taoiseach Leo Varadkar’s comments that he aims to cut down his meat, and particularly beef consumption. This has been met with fierce opposition from agricultural associations who claim beef production in Ireland is the sector’s economic backbone. Although many may be opposed to the idea of downsizing traditional farming methods, Ireland, along with numerous other countries, may need to investigate alternative production options of eco-friendly, sustainable substitutes for the sake of the longevity of our planet and generations to come. The time for change has come and gone, our dear planet has already suffered the ramifications of our egregious actions and greed-fuelled over-consumption. But, in order to mitigate the damage that has already been inflicted, we must each commit to making immediate and effective changes to our consumption and production patterns before we lose more precious ecosystems and destroy the means we need to survive. Iceland’s famously harrowing Christmas ad depicting the crude destruction of rainforests and homes of unique creatures and plants was dubiously removed from our gaze when it was rejected from television screenings this year, representing how disgusted yet unwilling we are to admit to the truth of the devastating effects our daily food choices have on the earth. Palm oil’s inclusion in almost every product we buy, including beauty products and tasty frozen pizza, has led to the destruction of the rainforest and human settlements, accumulating to the size of New Zealand. That is a difficult fact to process, essentially the land mass of an entire country has been swallowed up by the production of an ingredient which many of us are not even aware we are consuming. So how much more of our world is going to be steam-rolled and destroyed before our eating habits will change? Can you imagine the place you call home, where you sleep and spend your days, being wiped out seemingly overnight? Can you picture it being replaced by an endless sea of crops, whose by-products you will never see or consume, but will be flown and shipped across the globe for people to eat who don’t care for the destruction they’ve incidentally caused to your homeland? Suddenly that tomato-infused base and cheesy crust doesn’t seem so appetising. 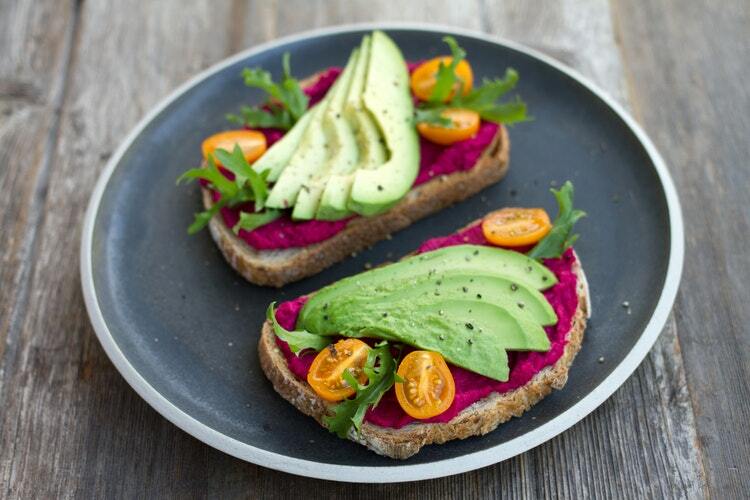 Some more bad news: the stereotypically much-loved, essential brunch food of millennials is making the hitlist – avocados aren’t as much of a superfood as we were led to believe. It takes a staggering 72 gallons of water to produce the delicious green fruit, while a whole gallon of water is needed to produce just one almond where they are grown in California. This kind of waste and water usage, particularly in a region ridden with drought, confirms the ill practices of those companies producing our food. While it seems impossible to enjoy a meal that isn’t tarnished with environmental damage, there are simple changes we can make to our dietary habits to greatly reduce the negative impact we make. Shopping locally and organically can make a significant impact by reducing the carbon footprint and airmiles of the food we eat, while ensuring producers get a fair and decent price for their produce. Buying loose fruit, veg and store-bought foods with minimal or recyclable packaging is also an important step to redirecting the impact of our eating habits. If we make changes to our demand for environmentally damaging foods, then the practices of those corporations mass-producing and destroying our planet will have to change also.